Selection of the types and calculation of the required amount of main and auxiliary equipment. Prediction of changes in production programs and the quality requirements of products. 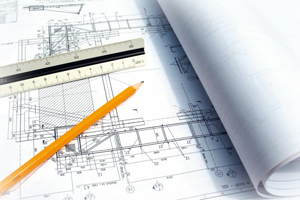 Designing of mechanical workshops and enterprise plans. Development of optimal enterprise structure, list and production programs of departments and sections. Determining the required number and qualifications of employees. Assessment of correct selection and placement of equipment. Modern manufacturing is becoming increasingly multi-product and versatile. In addition, the release program of a designed technological complex can be significantly changed not only during its operation, but even at a design stage. This makes very complicate the task of equipment selecting and may cause several errors which inevitably lead to additional unnecessary costs. We have our own unique methods which include factors of uncertainty considering during calculating the required equipment amount and taking decisions about equipment choosing. All project documentation is developed and made in accordance with applicable standards, rules and regulations. We offer not only design, but also quality control, support and expertise of technology and design documentation.